I cannot speak for anyone but myself but I think at times writing and getting inspiration can be a challenge. Especially, when your inspiration does not come regularly but in spurts. I think I already said something about this in one of my earlier posts, but I only write or do anything when I have the right inspirations and I am in that right frame of mind which comes whenever it wants to. But, when it does come it can be either a very short spurt of inspiration or sometimes, which this does not happen very often, it can even overflow. Does anyone else have this challenge when it comes to writing? Anyway, I have noticed that when I am taking a shower this is time when my inspiration usually comes. There has been many occasions where I had to rush out of the shower to write down my jumble ideas and words. Actually, it even happened just yesterday where I received inspiration to write about a certain event that occurs in the second novel I am writing, The Forlorn One. And I stayed up until after 4 a.m. getting all my thoughts together and typing it all down. Of course it does not happen all of the time but it have happened so very often that I am lead to believe this. My guess is ( and this is only my guess) but I am more susceptible to ideas and inspiration because during this time is when I am the most relaxed. 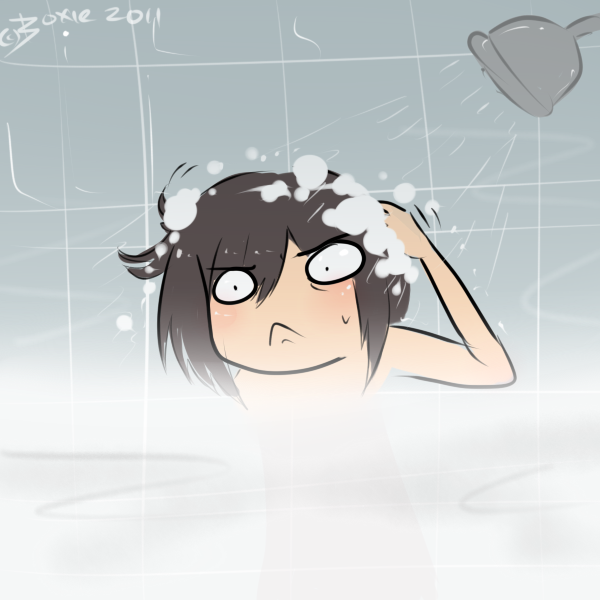 The one thing I enjoy more than food and sleeping is taking a shower. And therefore, I am more open during those times. Though it may seem really weird to say that I get most of my inspiration while I am taking a shower, it is what it is, lol. Or maybe it’s not so weird. Please tell me your thoughts. I think it would be really interesting to know how and when others get their inspirations as well. Would you mind sharing?